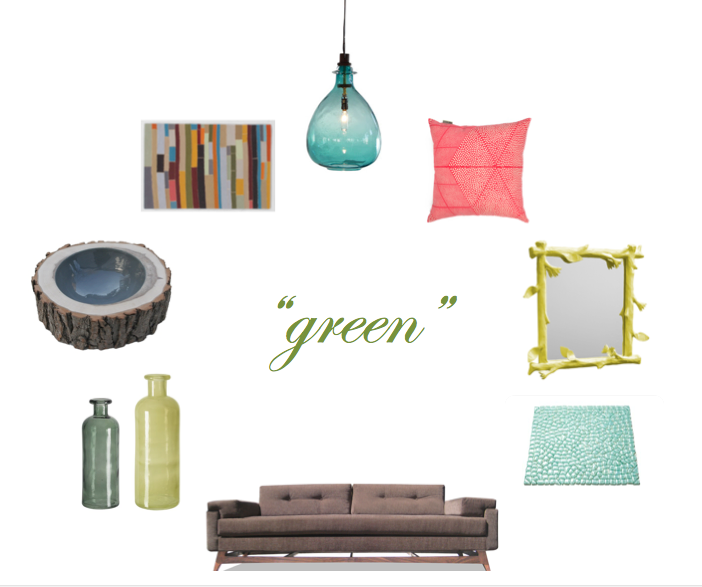 Color Friday is: “Green!” Happy Earth Day! Earth Day is Sunday April 22nd, which gives me a great opportunity to showcase a few fun and sustainable or recycled products for this week’s Color Friday! As you may have guessed, today’s color is “green,” which doesn’t refer to color. Last year, I one-upped myself and featured green “green” products. Ugh. I make myself feel so inadequate. I’ll leave you with my favorite, easiest green tip that I have for when it comes to decorating your home; you’ll know I’m being sincere because it does absolutely nothing for my bottom line. The greenest thing to do, almost all of the time, is to keep what you already have. Of course this doesn’t always apply to energy inefficient appliances, but throwing out furniture when you can refinish it (with low or no VOC finishes, of course) or tossing whole pillows when you can just replace a cover is not only environmentally responsible, but it will save you an entirely different kind of green in the long run! So what’s your favorite “green” pick? And is it actually green?